College Station, Texas – A new payload carrier promises to dramatically reduce the cost of access to space for small scientific and education payloads. 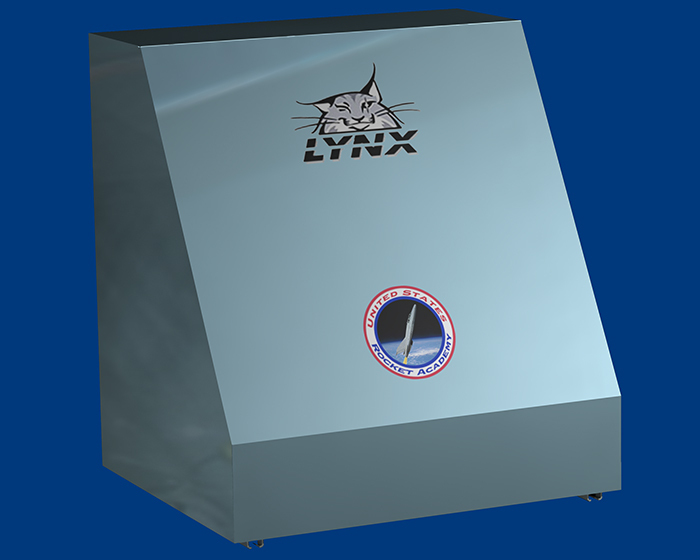 The Lynx Cub Payload Carrier was announced today by the United States Rocket Academy. The Lynx Cub Carrier will fly on the XCOR Lynx space plane, now under construction at the Mojave Air and Space Port, and carry up to 12 experiments on each flight. Citizens in Space, a project of the United States Rocket Academy, will fly the Lynx Cub Carrier on 10 Lynx missions beginning in late 2014 or early 2015. The Lynx Cub Carrier will also be made available to other XCOR customers, as ready-to-fly hardware or as an open-source hardware design. 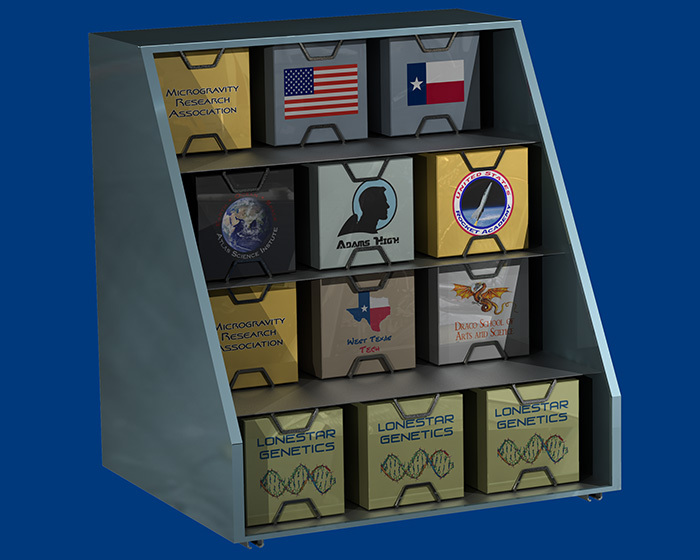 The Lynx Cub Carrier is being developed by the United States Rocket Academy and the Space Engineering Research Center, part of the Texas A&M Engineering Experiment Station (TEES), with support from XCOR Aerospace. Design and fabrication are being done by Texas A&M faculty and students and TEES researchers. The Lynx Cub Carrier will be flight-ready in September 2013, Hill said, and will be included in the XCOR Lynx flight test program. The Space Engineering Research Center, part of the Texas A&M Engineering Experiment Station in College Station, is also a member of XCOR’s global network of payload integrators, which provides value-added services for Lynx payload developers. TEES is an engineering research agency of the State of Texas and a member of The Texas A&M University System. XCOR Aerospace, which is developing the suborbital, fully reusable Lynx spacecraft for a variety of scientific and commercial missions, is currently headquartered in Mojave, California. The company will relocate its headquarters to Midland, Texas later this year. The United States Rocket Academy, a non-profit educational organization that studies and promotes the scientific, military, and commercial applications of human spaceflight, is also located in Texas. Citizens in Space is the United States Rocket Academy’s flagship program. 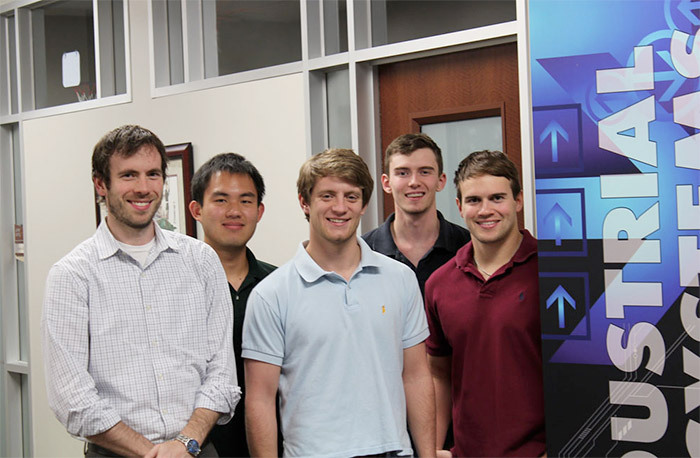 Lynx Cub Payload Carrier development team members (left to right): Texas A&M industrial and systems engineering Prof. Justin Yates, students Eric Chao, Cress Netherland, Donald Boyd and Austin Goswick. Not shown: Charles Hill and Dr. Frank Little. Cool stuff happening here. Good to see the standardization of the Cubesat 1U, 2U and 3U. Looking forward to seeing the Lynx Spacecraft in action! Best of luck! Its nice to hear for such a space program for future missions. But one thing we are missing yet. We are not focusing a special area of research which is still restricted to physicist only. Whatever we study, we design either vibration, acoustics, thermal design,etc is not suffcient. Using this only we can reach to other planet but not other galaxy, we can’t search, communicate, do bussiness with other planet & extraterrestial life. Congratulations XCOR! It is so exciting to watch this project continue to grow. As a Teacher in Space workshop participant, I got to see this the Lynx at its beginning stages and now seeing the final steps come together with the help of college students is inspiring and impressive!! I have been thinking along these lines for a while and glad to see I am not the only one. Any indication of what the launch price is likely to be ? Any other details would be appreciated.